Can’t wait to learn more. I know this is an exhaustive adventure but have seen so many great bloggers post successfully all month. I started a 31 days series a few years ago and then my mom got sick and I had to quit in the middle to care for her. You have chosen an interesting topic. Hi Mary Lou what an interesting theme and one I would never have thought of. 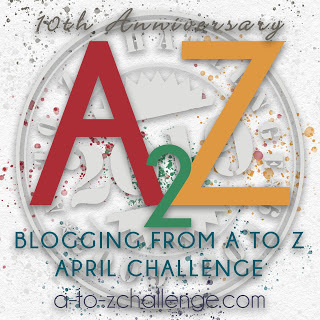 I’m looking forward to reading your posts and congratulations on taking up the AtoZ Challenge again. Thanks for sharing at #MLSTL and have a great week. Very nice design. Looking forward to seeing what you post. Thanks Maryann! See you in April! Your theme sounds really interesting. Looking forward to the posts. Reblogged this on Me In The Middle.